Relentlessly solving business problems using the best software design principles as well as love for sharing knowledge training other developers. Signagefy aims to create an adaptive digital signage for the modern world. Traincube is a technical training academy providing unique programs to connect local software developers with businesses in their community. The overall goal is to offer trainees the opportunity to build real life software programs. Gradusly is a unique online training platform. Courses follow the Gradusly format. As simple as five lessons five minutes each to gradusly (pun intended) become a pro. 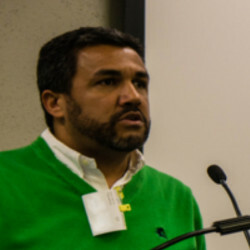 Hendrix Tavarez is a technical entrepreneur, Google Developer Group (GDG) Central Florida and GDG Bronx organizer. Hendrix has over 15 years experience developing software and applications for enterprise customers. He was a lead software engineer for IBM working on IBM Smart Business, WebSphere and Java Batch JSR-352.